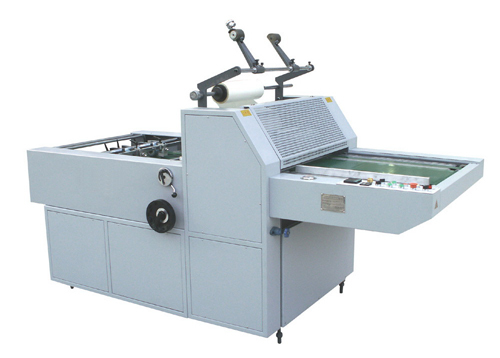 Zx-520/880/1200semi-automatic hydraulic laminating machine is manufactured according to the market requirement. 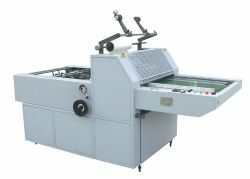 It can do the complex and cutting at the same time, the anti-carve device can assure the paper smooth. 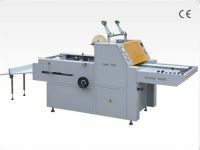 It is made of thermal film, widely used for packing boxes, delicatessen boxes, and periodicals drawing and so on. 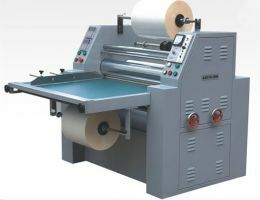 The laminated products will be water-proof, legible, clear picture, and strong three-dimension ect. 4. Use auto hydraulic supply system, the pressure of rising and dropping is automatic.